Are You Losing your Money in Savings or CD Account? Am I losing my money by saving it? With less than a percentage of return from savings accounts and CDs and more than 2% of inflation to go with, this is reality. Let’s do an analysis of this situation of losing money to inflation. The average interest rate for a savings account has steadily decreased since the 1980’s. The chart above depicts interest rates starting in 1999 to 2010. Clearly, over time, depending on interest from a simple savings account is not a winning solution to produce passive income, the key to financial freedom. Likewise, current interest rates are seen even lower. A Bank of America Interest Checking and regular savings account is producing only a 0.01% return on saved cash. In other words, there is minimal advantage to stashing away your hard earned money in a typical savings account. CD rates do not fair much better when looking for respectable results. 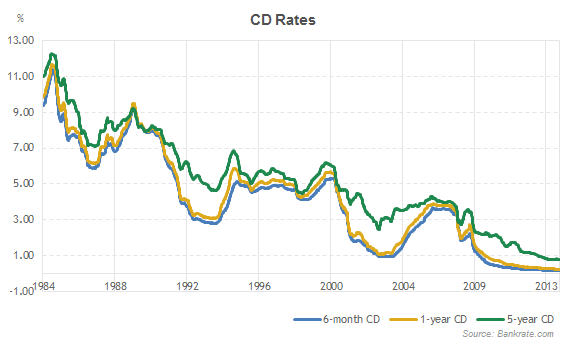 According to BankRate.com, 6-month CD yields, 1-year CD yields and 5-year CD yields since 1984 have decreased similarly with savings account interest rates. It is almost like end of CD era, per US news. So what we are seeing here is, by simply parking your money in saving/checking accounts or having it in CD is not going to earn you more than 2% income. Of course there are benefits in having your money parked in these investments. Your money is highly liquid, you can access it in case of emergencies. Money locked away in long-term CD ensures you are not going to spend that money in impulse. But, the bottom line is your money is not going to grow much. 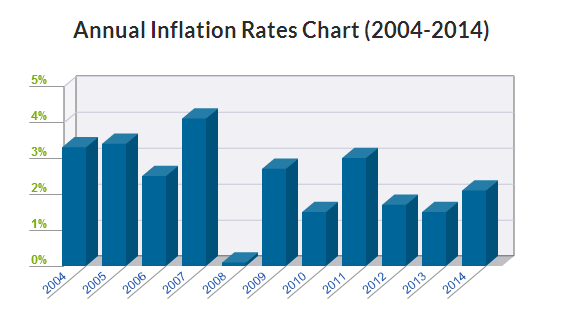 Now look at the historical inflation rate from inflation calculator. Right now inflation rate is more than 2%. That means. If you keep $100 in Savings account or CD, next year the value of the investment will become $100 – inflation on $100 + interest on $100. Now since inflation is more than interest earned. Your investment value next year will be slightly less than $100. So, you’re losing your money to inflation! Are There Better Ways To Save Money? If saving is a major part of your financial plan, such as an emergency fund, it only makes sense to use banking accounts that give you the biggest bang for your buck. Now to get higher return you need to look beyond safe investment. As risk grows, return follows. An index fund is my perpetual favorite. For the low fees and for being safest mutual fund that invests in stocks. 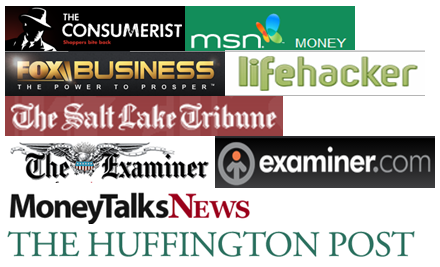 Lately, seeing results of my investment in Prosper peer-to-peer lending, I started recommending my readers about it. My 3 year cumulative return from prosper was a mind-boggling 23%. This year alone my investment grew at 7.8% rate. I highly recommend Prosper as an investment route. You can also try Lending Club. Roth IRA: Vanguard has multiple Roth IRA fund selections for experienced or new investors alike. For new investors with limited experience in financial markets, I suggest the Vanguard Star fund. The Star fund has a small account minimum and is greatly diversified. Rental Properties: While the initial start-up cost of purchasing a rental property is high, the long term payoff of a steady stream of passive income is more likely to lead to financial freedom than not. Peer-to-Peer Lending: Lending Club and Prosper are industry leaders in peer-to-peer lending. Returns on investment may vary; however, the average rate of return from a quality borrower is solid. Use a more balanced approach. A combination of saving with investing will sow the seeds for financial freedom. For more investing options, check out Best places to invest money this year, 4 Ways To Invest $100 Or Less and where should I invest my money. Yes, I am losing money, but the money I place in these accounts are not for money building. It’s emergency or quick access money and that is it. It makes what I expect. Everything else goes in to other vehicles you mentioned above. Yes you got it right. We all keep not-a-very-large amount in savings accounts. And. that is mostly for liquidity. I keep some money in my savings for when I need it quickly. I don’t make any money there because of inflation, but it is my security. Other money is used for investing. I wish I could invest with P2P, but my state has blocked that practice. Thats to bad on the P2P investing. What state is that? Good article. I don’t like the fact that my hard earned money is losing value to inflation in my bank accounts however you are absolutely right on. My preferred investment vehicle are rental properties but I have to save money for down payments after each one. It’s during that saving period where I’d like to stash it somewhere else I’m just hesitant to keep it somewhere that is not as liquid as I would like it to be. Leaves me with good thoughts to ponder. I think you’re talking about series of rental investment and paying off the mortgage with rent. I heard about that and in fact know someone who does that. We got our first home last year. So, we kept the down payment in a online savings account for last two years. It makes sense to keep such cash in checking accounts.